17 Nisan 2019 Çarşamba 16:01 - 3 reads. Let us affirm from the beginning – Ericsson has presented a very strong report for the first quarter of the year. The ceo Börje Ekholm and his leadership has every reason to be proud to have managed to turn the Ericsson from losses and krisstämpel, to growth and profitability. But also the timing has been right for the lead. Now when most of the storstädningen is made is group a very good to when the 5G – the new generation of tele - and data network being rolled out across the world. 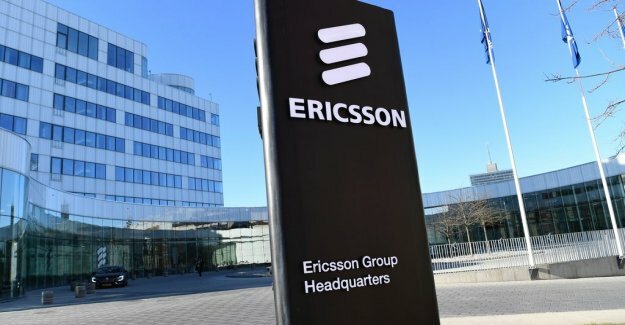 Here, Ericsson has taken the lead – none of the competitors have signed so many 5G-agreements with major telecom operators. But there are dark clouds on our otherwise bright sky. the authorities ' investigation into past suspected korruptionsaffärer Ericsson have been involved in. The investigation has been going on since 2013 and now begins a period of negotiations of how much Ericsson will be forced to pay in fines. That there will be significant consequences Ekholm crystal clear. The company itself has discovered documents showing that it has violated both the group's own rules and business ethics whatsoever. the scale of the fines will be, nobody knows today. Therefore, Ericsson has not reserved funds for them – they can't even estimate the size of them. But figure that it is about billions. The second threat to the Ericsson is more diffused and svårbedömbart. It is with a word about China. was called into question. The united states and Australia have banned the company from launching 5G networks in these countries. The reason is that they suspect that the networks will be exploited by chinese intelligence services. According to chinese law, the company is obliged to, upon request, assist the intelligence services, which also receive EU and Sweden to consider, or in any case does not exclude, a ban. But China can give again – which is not at the end of last week when the chinese competition authorities carried out a raid at the Ericsson headquarters in China. the Raid was alleged to be the result of complaints about the licensing of the patent on the new 5G-enabled phones and other devices. It is assumed to lead to an increase in royalty payments, the manufacturer must pay to Ericsson. But it can just as easily be seen as a warning from the chinese regime; a way to say to the west ”we can respond with the same coin”. In the international political undertones, the game has Ericsson, not much. Unsurprisingly, in other words, the ceo refrains from comment.